Last semester, Nathan Klima and I produced two short docs in the span of four months on the American South. For our local story, we traveled to the nearby town of Siler City. The population of Siler City, North Carolina has increased by 20% since 2000. Along with the population growth, there’s been a demographic shift in which Hispanic residents now make up roughly 50% of the town. 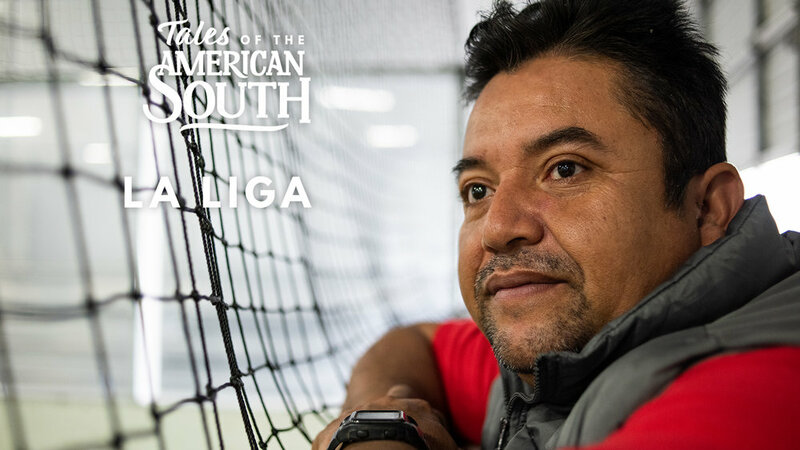 Fourteen years ago, Jose Juan started an independent soccer league, La Liga Sabatina de Siler City, which he organizes to this day. Soccer is now what unites this town in the American South. For the second film, we traveled to East Atlanta, which has become one of the most significant regions for contemporary hip-hop music in the United States. We filmed rap duo Osei & Armani, from Bouldercrest Road, home to some of the most popular rappers to come out of Atlanta. In the short film, Osei & Armani reflect on the what it takes to be successful in the most popular music genre today. Both films will be screened at Morehead Planetarium today at 6pm along with eight other films produced by our peers. At the end of the showing, we will host a Q&A where we will answer questions about the stories and production.